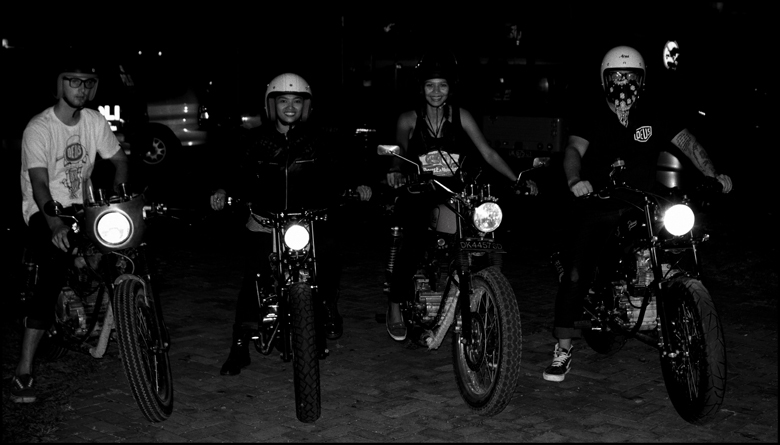 Last night a few Deus riders suited up, threw a leg over the saddle and headed into the depths of Denpasar to follow up on an invite from friend Gede. 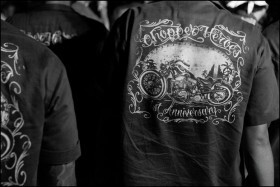 His MC “The Chopper Heros” were celebrating their first year anniversary so Dustin, Mira, Julian and Koming cruised on down to meet up and get a little silly in the process.From the ‘get go’ things seemed a tad surreal, think Sons Of Anarchy but less redneck and more Indo, Leather jackets, patches…the whole 9 yards. 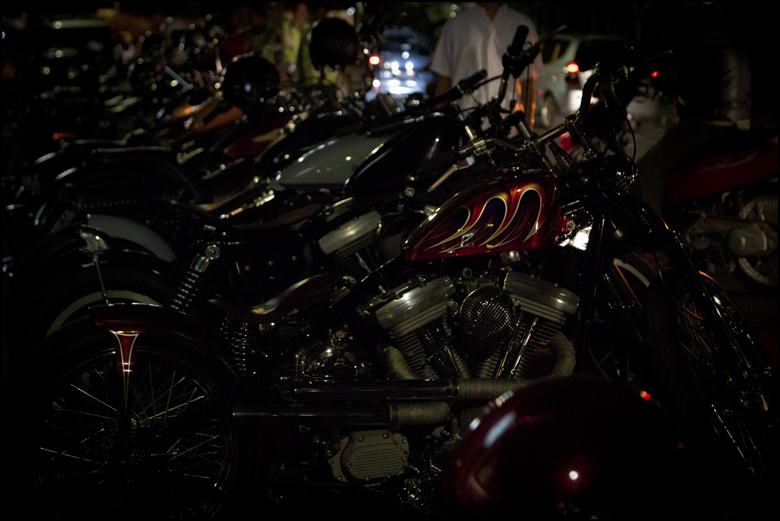 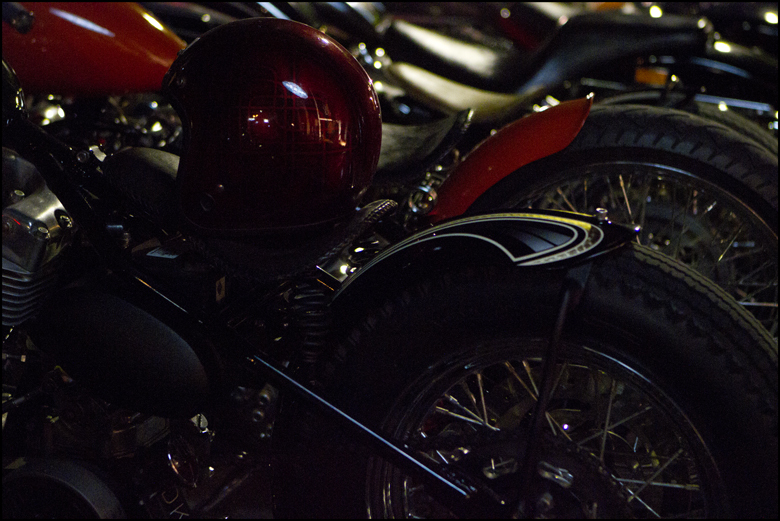 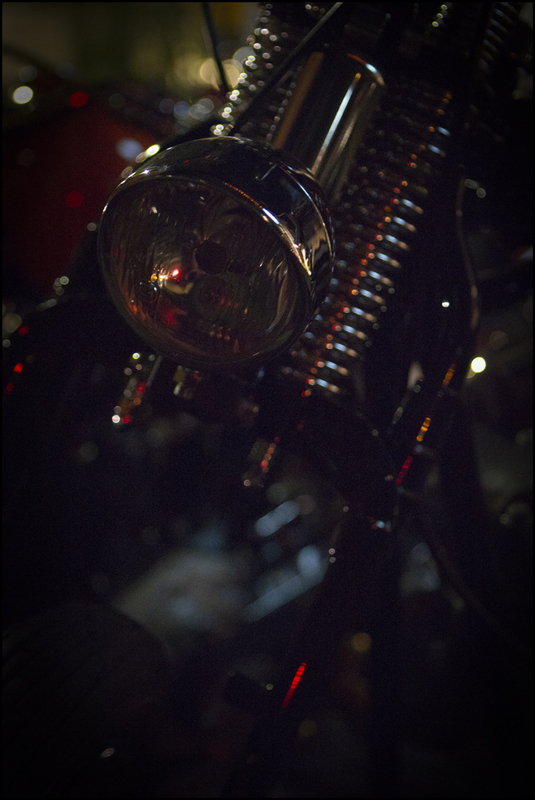 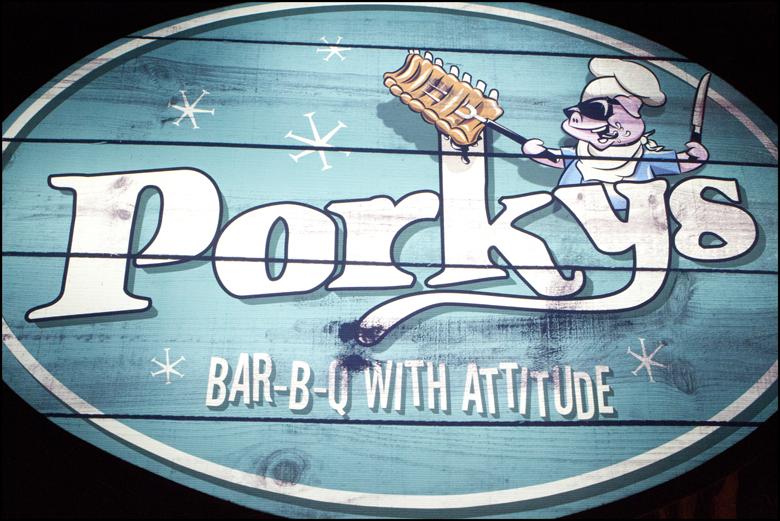 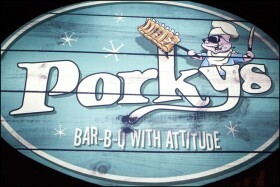 But as soon as we waded through the lineup of bikes and made it through the doors of ‘Porkys’ BBQ joint, beers were slung our way, food offered upon us and good times followed. 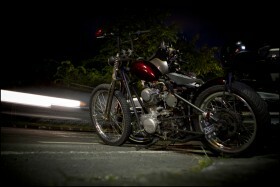 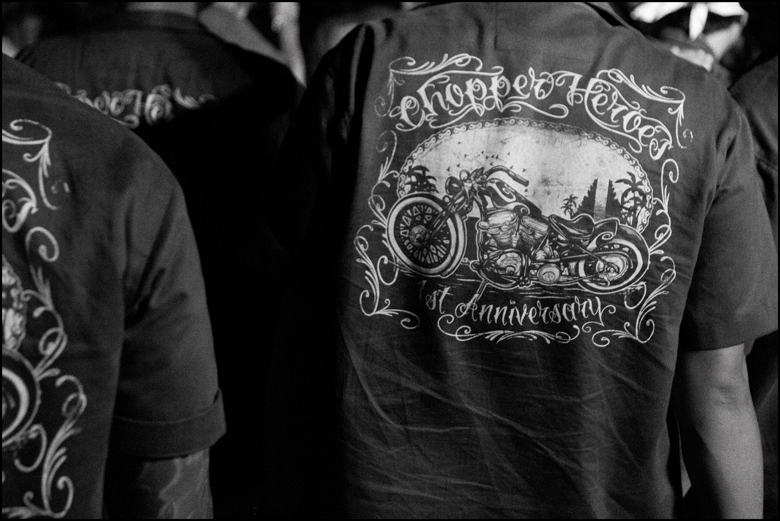 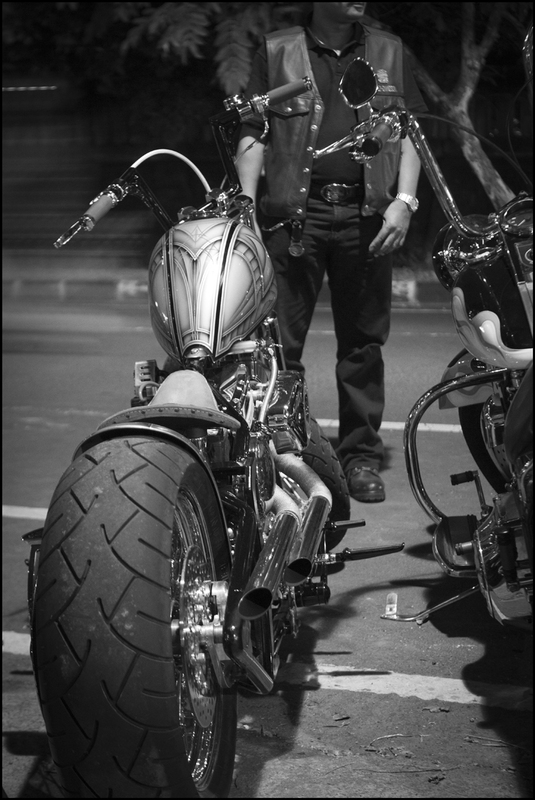 Chopper Heros is a relatively young MC, going a year strong, but these guys have style. 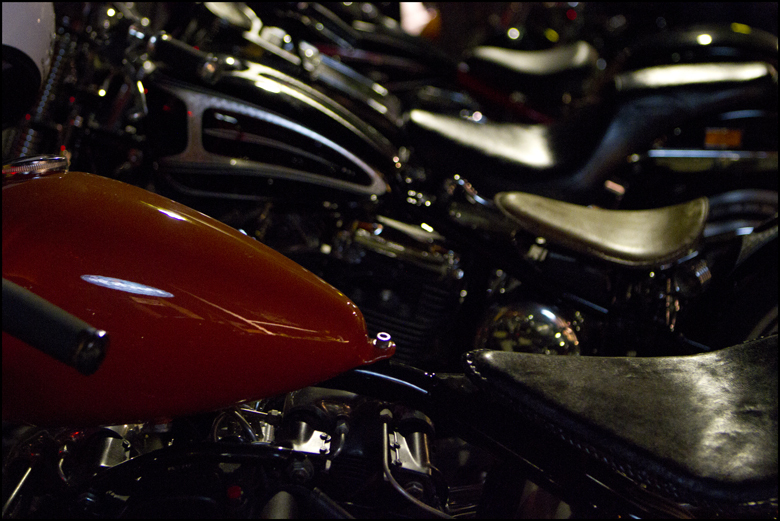 Trading over the top looks and bling for good looking’ rides that are more function than form. 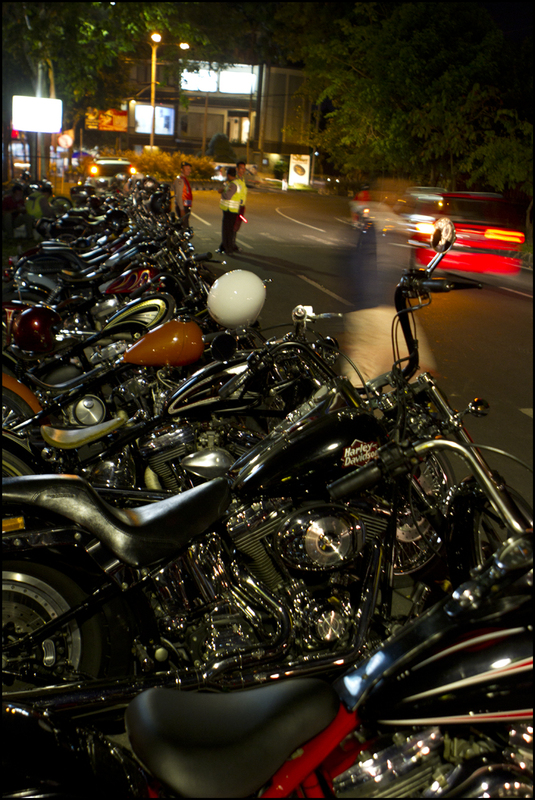 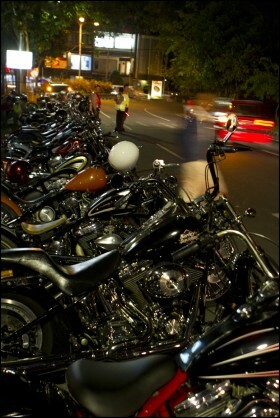 “Rides that actually work with the Bali traffic, not against it.” Says Gede. 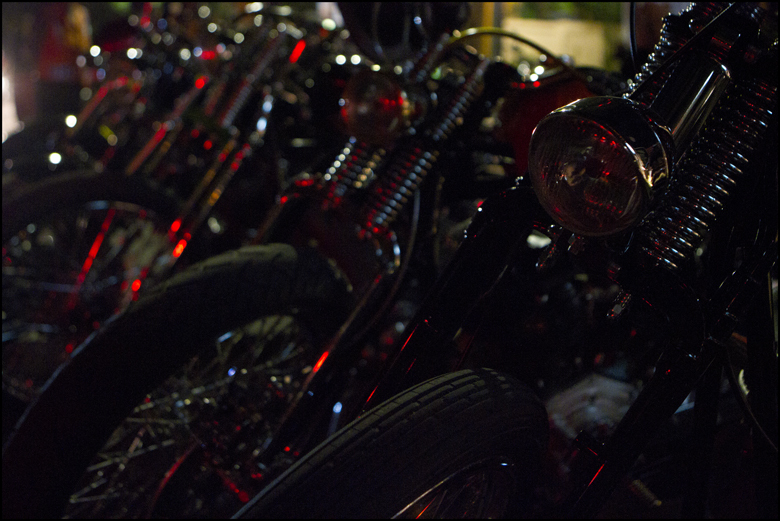 From what we saw Harley’s, Triumphs and Honda CB’s were the predominant force, and it was great to see a lack of any ‘outrageously blingged out’ rides. Lost of subtle pin stripes, sleek bobbers and springer front ends. Its cool to see this group of young guys taking the Bali chopper scene on a different path. 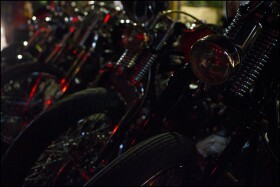 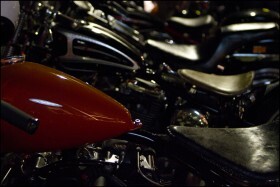 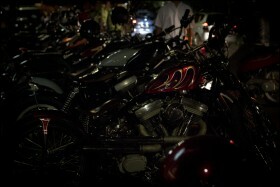 Here’s to good dudes, a great night and chicks riding Deus bikes!